Dr. Tim Elmore is the founder and president of Growing Leaders. He is the author of several books, including his most recent, Generation iY: Our Last Chance to Save Their Future. You can follow him on Facebook and Twitter. If you want to guest post on this blog, check out the guidelines here. Ahhh, Christmas. It just may be the most wonderful time of the year. Every year, however, parents are reminded of how much our culture has impacted the minds of our children. For instance, we all talk about Christmas being a time of giving — but let’s face it, the first thing kids want to do in December is to make their own Christmas list of what they’ll get, not give. First, why not start a tradition. Along with creating their own “wish list,” your kids make out a list of the gifts they plan to give away to others. This could include people they know and perhaps people they don’t know. The gifts can be ones they buy with their own money, or some of their own possessions they treasure. The clincher was, this mom and dad talked about sacrificial giving, and shared how they planned to give one of their cars to a needy family. Then, they had their children give away the pile of toys they had planned to keep. Sacrifice is true generosity. It was hard for a few moments, but unforgettable in the end. Those kids still talk about that incredible experience four years later. Jesus reminds us: “This poor widow put in more than all the contributors to the treasury; for they all put in out of their surplus, but she, out of her poverty, put in all she owned” (Mark 12:43-44). Join Tim tomorrow at Pete Wilson’s blog as he discusses ways to develop patience in your kids (and maybe yourself!) during the holidays. 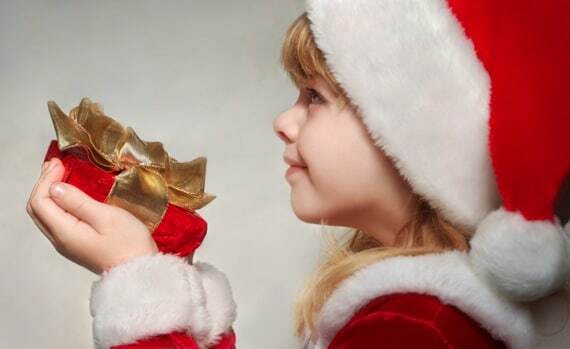 Question: What can you do this Christmas to teach generosity to your kids? You can leave a comment by clicking here.